The Benidorm Plaza has a great location right in the centre of the tourist hotspot of Benidorm. The nearest beach is a 5-minute walk away from the hotel, which is surrounded by a large variety of different bars, restaurants and cafes. 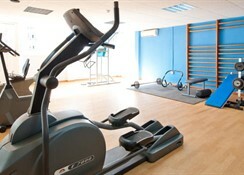 There are 226 rooms in total at this property including two Suites and a host of on-site amenities which includes three sun terraces, a restaurant, swimming pool, entertainment programme, gym, sauna and hot tub. It also makes for a great base for those wanting to explore all that’s on offer in the town. 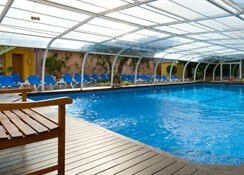 The Benidorm Plaza is suitable for couples and families with children who want a central location with a modern style. 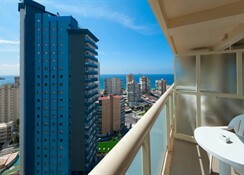 Benidorm Plaza is located in the centre of Benidorm and the Plaza Mayor Square is just 0.2 miles away from the property. It’s also easy to reach the other main sights in the town such as the Aqualandia Water Park (1.8 miles), Terra Mitica Theme Park (2.4 miles) and several beaches including Levante and Mal Pas are within walking distance. 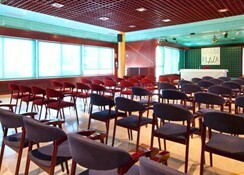 The Alicante International Airport is 29 miles away and the hotel offers a transfer service. 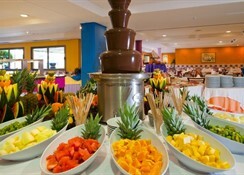 You can choose between four accommodation types at the hotel. Standard Rooms have a double bed for two guests while there is also a Single Room option as well. If you want a bit more space, then the Minisuite offers a larger surface area fit for two people complete with a Jacuzzi, while the Family Room has facilities for four people. All of the rooms have air conditioning, satellite TV and most have balconies. 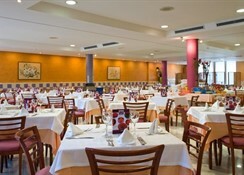 You’ll find a buffet restaurant at the Benidorm Plaza that’s open for breakfast, lunch and dinner and offers show-cooking and different themed nights. There is also a bar and café for drinks and lighter snacks and the surrounding area has a multitude of different eating and drinking establishments. 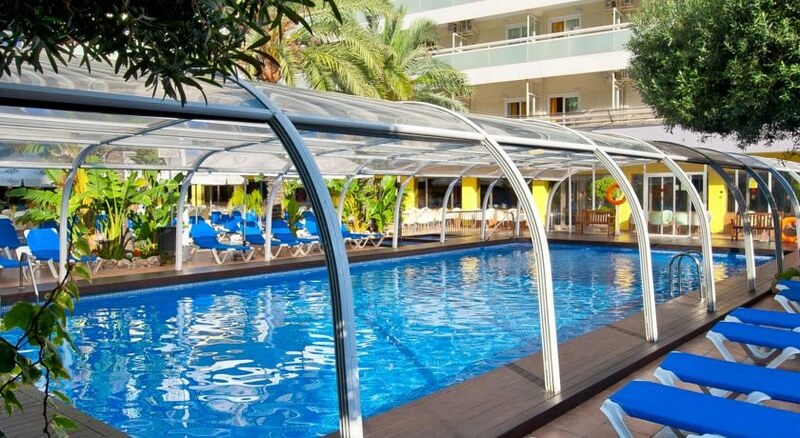 There are three sun terraces, an adults and kids swimming pool, a gym, sauna and hot tub all available at the Benidorm Plaza hotel. The property also provides a varied entertainment programme both during the day and in the evening, which is ideal if you want to stay within the hotel’s complex. Guests are just steps from the nearest sandy beach, where the adventurous can try out some of the popular watersports on offer. The nearest golf course is Las Rejas Golf Course, just two miles from the property and there is a casino just o mile away. My wife & I spent five nights at the hotel. It was a little dated but very clean and comfortable, with friendly staff. It's in a prime location five minutes from the beach and three minutes from the Old Town.